There are moments when I am shooting a portrait, or an event, where I get a huge smile across my face, having just captured THE moment. Usually my clients ask me what the smile is all about, and I simply reply, “THAT’S THE IMAGE…RIGHT THERE.” I’m not sure who is more thrilled with that moment, my client or myself. In that same manner, having shot this event, the Detroit School of Burlesque Student Showcase, held at the Ant Hall in Hamtramck, MI, I was reminded once again why I LOVE shooting LIVE events in Detroit, why the pre-performance nerves are ALWAYS worth it when I get images like these. This image. Right here. Pennie Noir. I captured innocence, confidence, sensuality and beauty all in one brief moment. This one image was worth all 800+ images I took that night. Congratulations to ALL the performers on your debut! Your courage to step out on that stage and express yourselves is both BEAUTIFUL and INSPIRING! 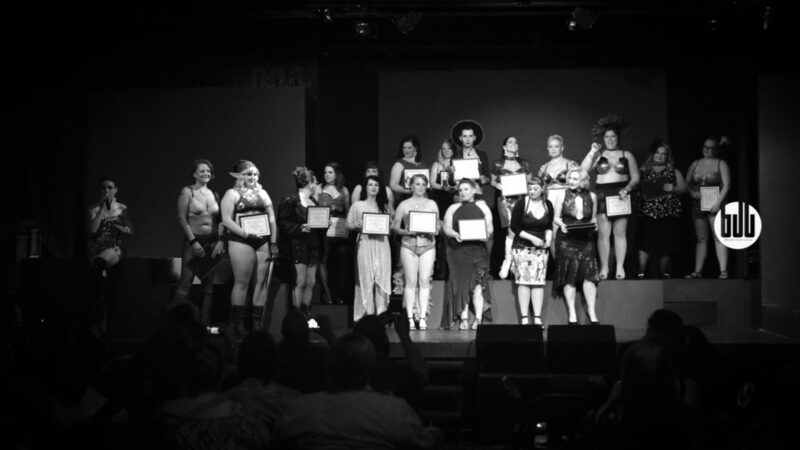 I look forward to seeing each of your burlesque careers flourish!